She is no ordinary ship – she is the world's first all-suite, all-balcony luxury liner. You will find your perfect private retreat among her 350 suites and enjoy impeccable service from her 445 professional and friendly crew dedicated to fulfilling your wishes. Seven Seas Mariner exudes comfortable sophistication throughout her public spaces where you can take in the ever-changing vistas. Guests enjoy 180-degree sea views from the curved bar and plush seating of the Observation Lounge and the Horizon Lounge boasts floor-to-ceiling windows with a comfortable outdoor deck for an aft view. Best of all, guests choose from four exquisite dining options, including the premier steakhouse Prime 7 and the classic French restaurant Signatures. Special promotions available on this sailing! Promotions may include 2-for-1 All-Inclusive Cruise Fares, Additional Savings, Special Kid Fares and More! 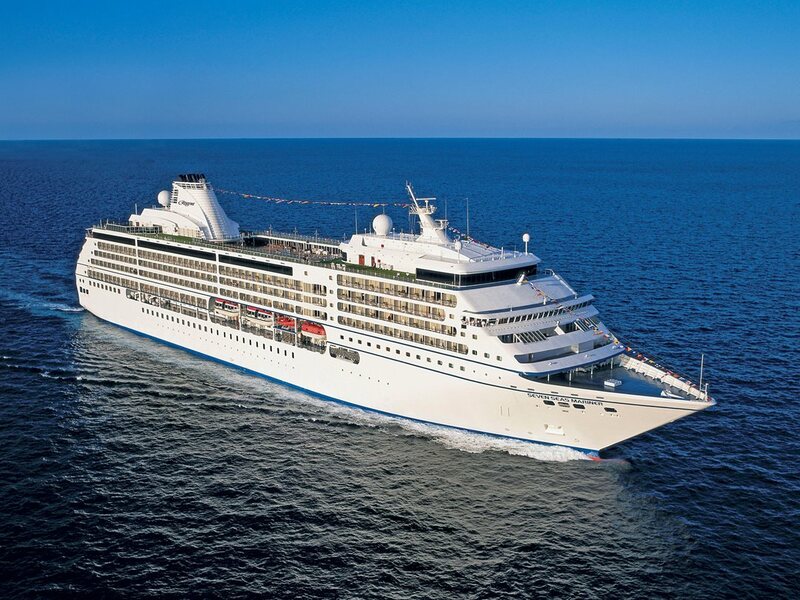 2 for 1 fares are calculated off brochure fares and are reflected in the rates shown on the Pricing and Staterooms tab.